There's something beautiful and unique about sunflowers. Growing a single golden bloom atop an unbranched stem, they are splendid, yet at the same time, natural and simple. 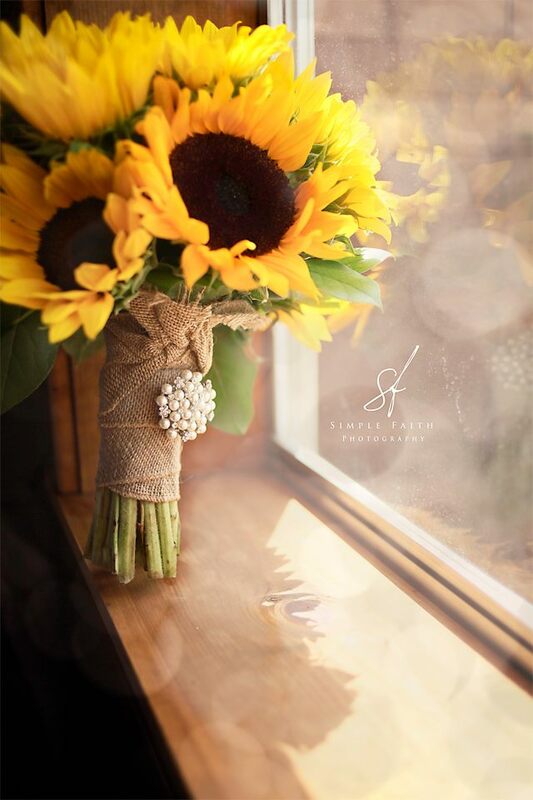 For this reason, Morgan was the perfect bride for a sunflower wedding. Blake and Morgan wanted a natural, rustic feel to their wedding so we incorporated mason jars, burlap, and lace with the sunflower centerpieces. Amidst the gorgeous flowers and the bride and groom's joyful smiles, the wedding turned out beautifully.